Categories: Haiku, Micropoetry, Photos, Poetry, Three Line Poetry | Tags: CARPE DIEM HAIKU KAI, Nature, Photos, Poetry | Permalink. This was very special photo snd beautiful words. Love the title for your post. 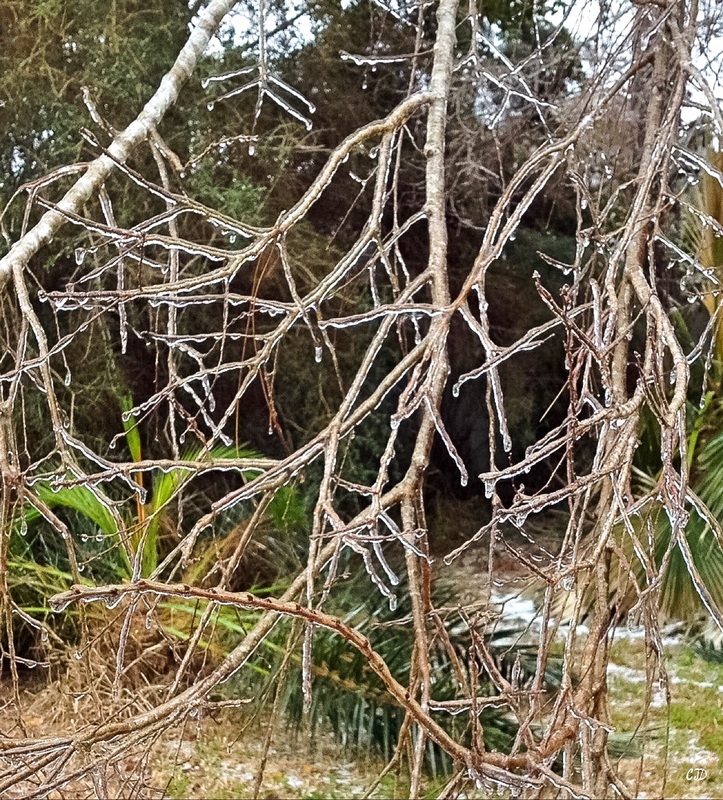 So befitting the splendour of the intricate lines of the icy branches. Thank you, you are sweet to say so. Thank you. Incorporating a well know play as well…. Nice post. I’m not ready for the thought of ice glazed trees though. Thank you. No not yet on the ice. Keep in mind this was FL too. We almost never get snow but once in a while we do get glaze ice. It is extremely destructive. A lot of plants can’t recover not to mention the numerous car wrecks. Lucky for me my work told me to stay home until it was more safe to drive so I got to go play in all the beauty with my camera. “frosted glass” nice choice of words … here in The Netherlands we have did very often in this time of year, at the end of autumn and at the start of winter. Really a nicely written haiku Christy. Thank you. I am trying to get better and learn. I need to make sure my haiku stand alone without a picture to make sure the “minds eye” is brought into play with the words too.